The waters of my Atlantic Ocean are usually dark and murky. (That’s right. It’s my ocean. Just like the Seven Mile Island is my island. So step off.) But for the last week or two, the water has been crystal clear. As I swam in the bay for our weekly point-to-point 2.5 mile swim, I watched underwater as my friend glided past and I analyzed her smooth swim stroke. We rehearsed “going all the way around” Cedar Island last week, and the wall of the marsh was right there for us to examine. Grass waving in the current, small holes for little critters to call home. It was as if we were at an aquarium, looking through the glass. And the visibility was at least six feet down to the bottom as we bobbed in the ocean just beyond the breakers. I’m not sure I wanted to see what’s down there, but actually having the option was new and exciting. As it turns out, it’s the jellyfish. Right now, there are millions of tiny jellyfish in the water. They’re roughly quarter to half-dollar size. They don’t sting. Rather, they pelt your face as you swim through them. You grab them with your hands. If you’re not careful, you’ll get one in your mouth. There are a few bigger ones, maybe the size of a hamburger roll or a B-cup breast implant. (I have no personal experience with the latter, but with what I’ve seen on the E! Channel, I think I’m spot on.) 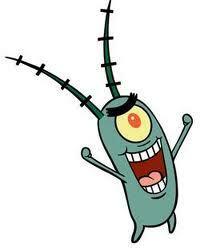 Anyway, the jellyfish feed on plankton. 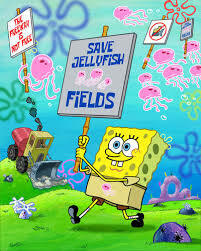 Because there are so many jellyfish, the plankton count is low. And as a result, we are spoiled rotten. We are swimming in the New Jersey Caribbean. Swimming in my ocean is my favorite summertime activity. I don’t mind my murky, dark ocean at all. I happily swim in it almost everyday. It brings me joy. But these last two weeks have been a gift. I have a new-found appreciation for the jellies and their voracious appetites. (Except the one at Chesapeakeman that stung the hell out of me last year. You, sir, are no gentleman.) 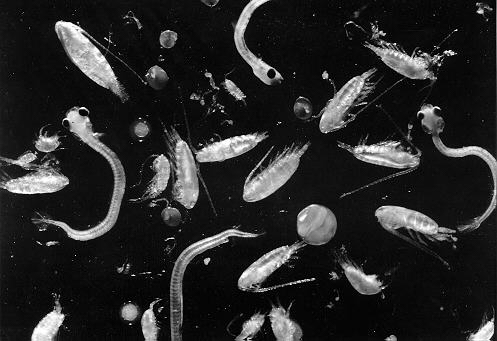 And I also have a new appreciation for plankton, and how freaky-looking they are, and how many I must bring home with me in my suit after every swim, and how many I probably ingest, and how disgusting that is. And all of this makes me appreciate the jellyfish even more. It’s the Circle of Life, and we’re all living together on this Big Blue Marble, and we must love our Mother Earth and every other tired cliché you can think of. Maybe they’re tired and overused because they are all true and wonderful. Beyond tired, they are exhausted. But it’s that good kind of exhausted. The kind you feel in your bones and you can barely move and you fall asleep before your head hits the pillow, all because you spent your day fully. Joyously. Swimmingly.